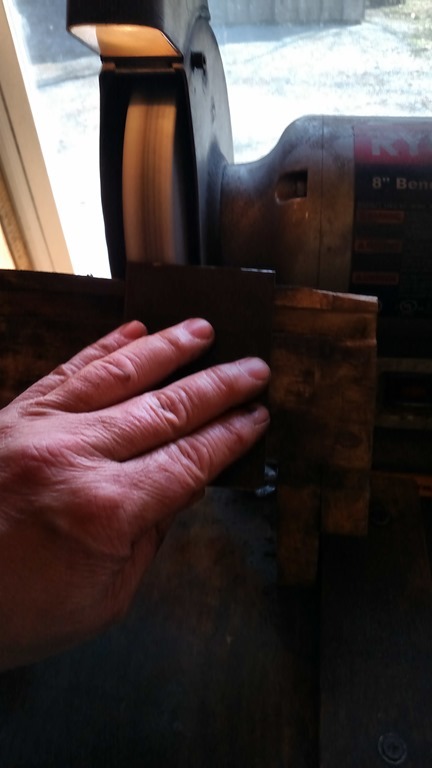 I had this Stanley #12 1/2 scraper that’s been parted together from pieces found over time. Its pretty much useless without a blade though, and I’ve never had the desire to order a new one. 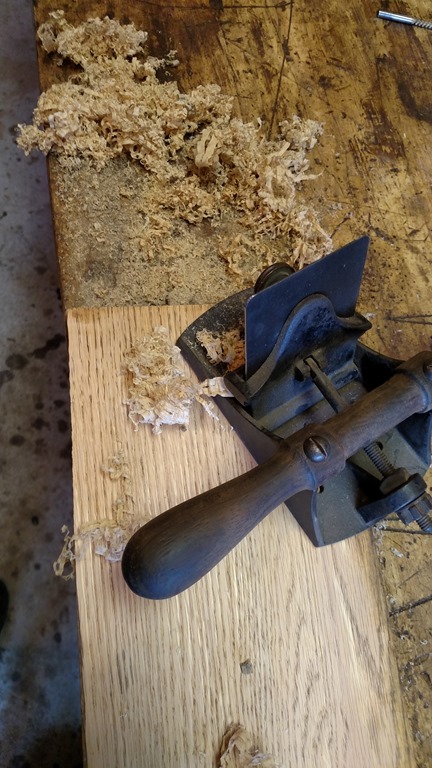 I’ve got a nice Hock blade in my #12 and it works fantastic, and as you may already know, I’ve got several other scrapers. But I hate to see a tool that can’t be used. 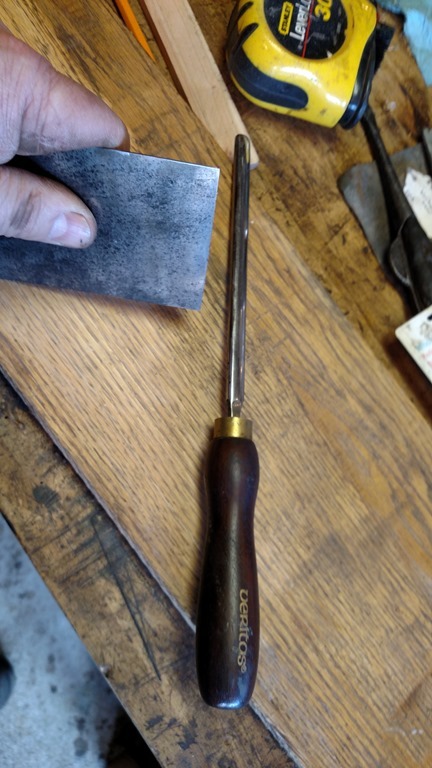 Now some of you may think that’s an odd statement coming from someone who collects as many tools as I do, but to me, a tool on display “IS” a tool being used. 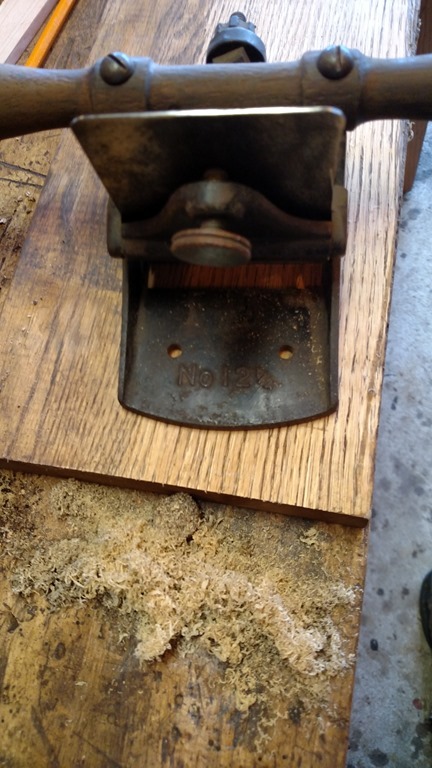 So this Stanley #12 1/4 needs to be used, and since it’s a mixture of parts and will not be a collector, that means it need to be in the “user” rotation. 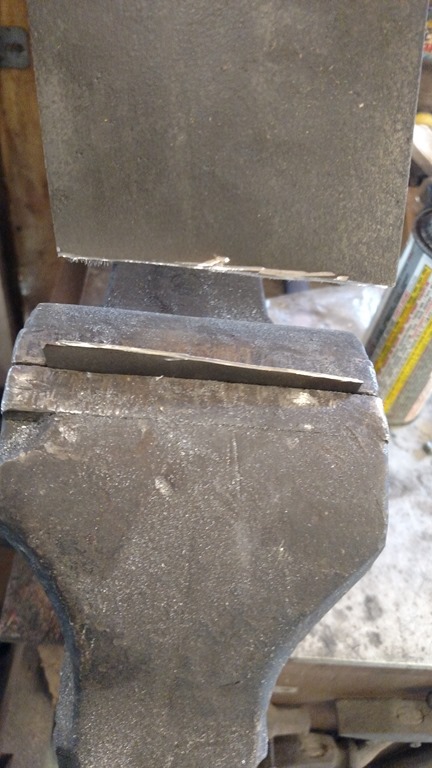 But since I didn’t really need a new blade, and I know I had a saw plate I had already made some cabinet scrapers out of, so why not make a blade for this one? 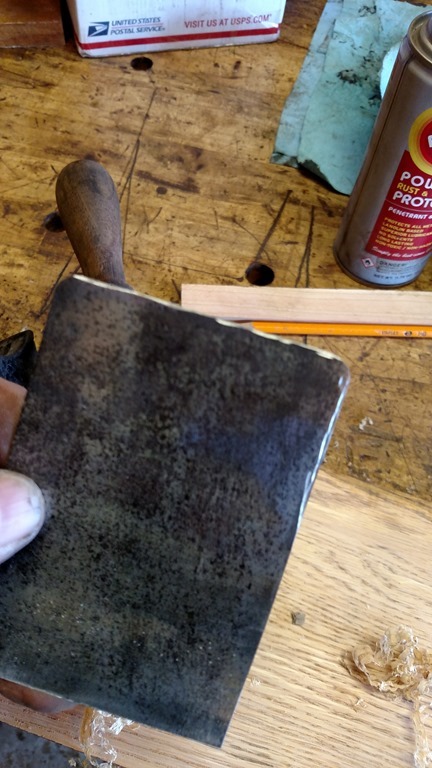 So the first thing I did was mark out the blade. 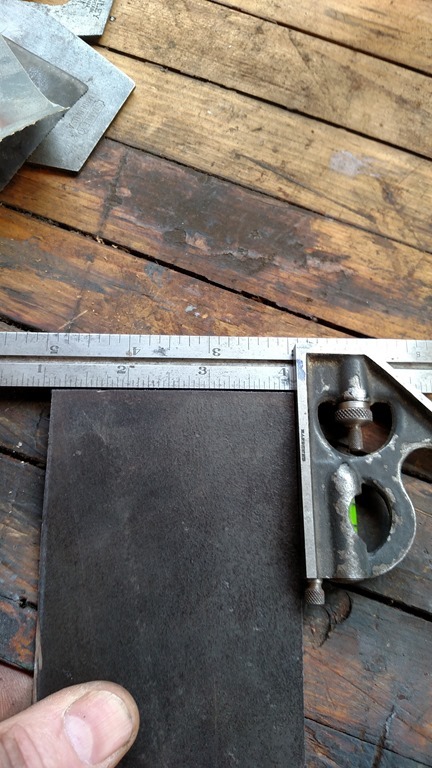 In my case I had a Hock blade I could use as a pattern, but just measuring and marking will work just as well. Next I just score the blade with the dremel tool. 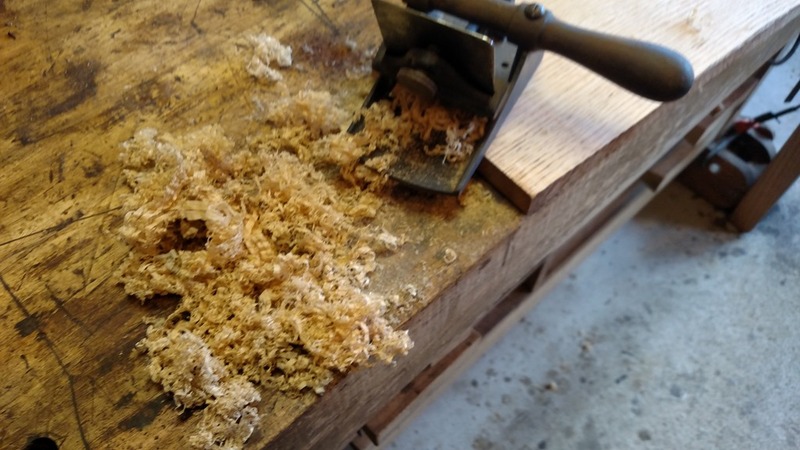 You can cut it all the way through if you’d like, but scoring and snapping in a vise is quicker. Keep the score as close to the jaws as you can and gently snap it off. 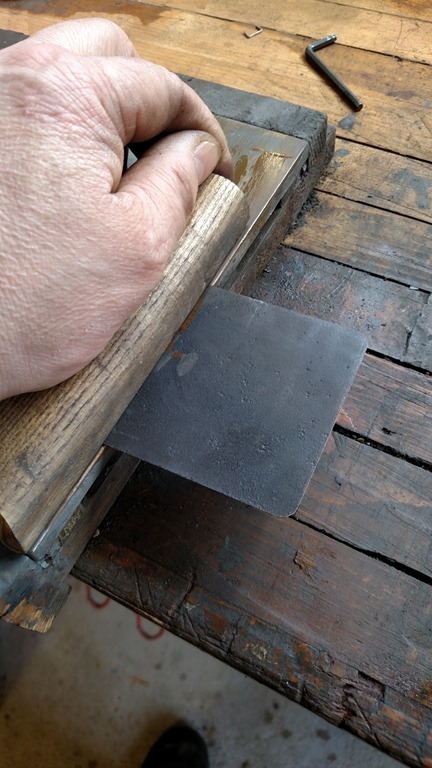 Next I ensure its flat on the belt sander. 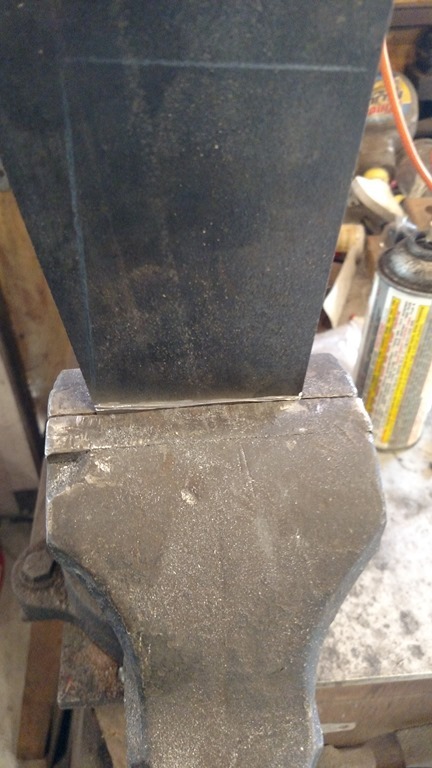 If you don’t have a belt sander a stone, dmt or even sand paper on a flat surface will do. Then I put on a bevel. 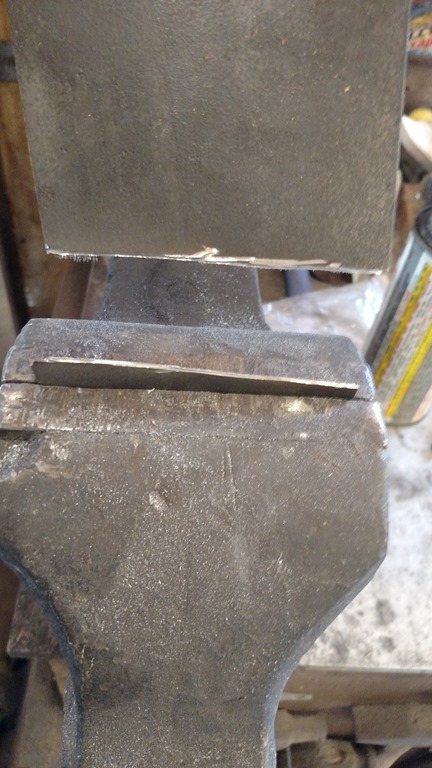 I tend to like a bevel on my scraper blades. 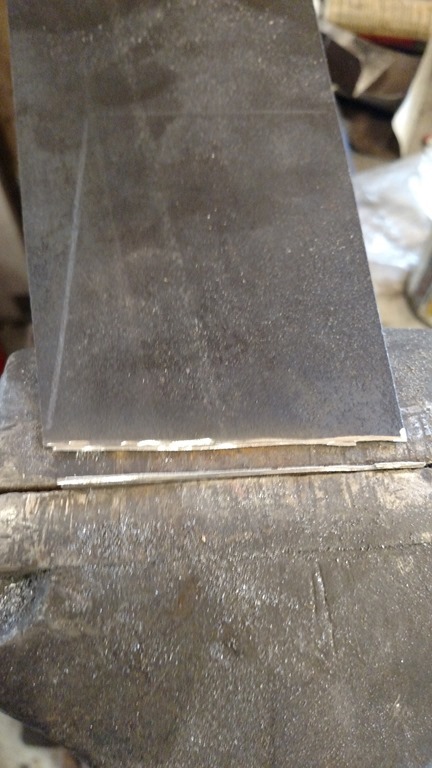 I know its often recommended to use a 45 degree bevel, but I find my 25 degree bevel works just fine, and I don’t have to readjust the grinder. Again, your normal procedure for this will work just fine. 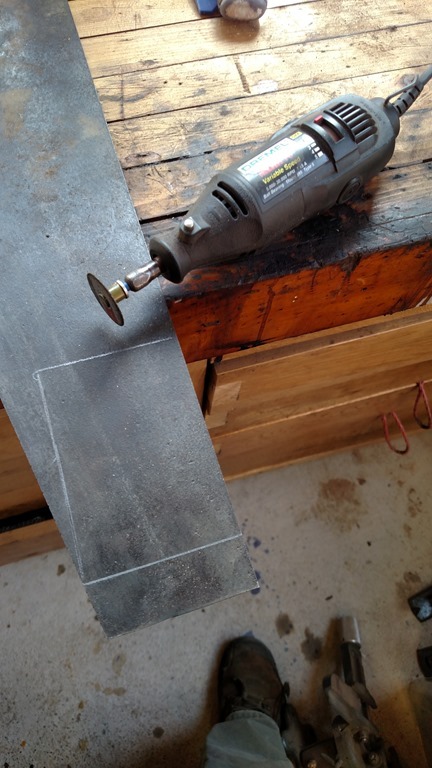 If you don’t have a grinder, all the same methods mentioned above will work as well. Make sure everything is square. I also round the corners of the top. 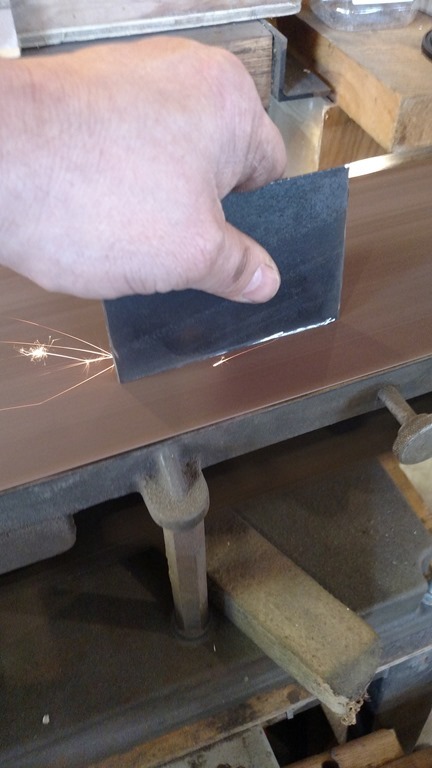 I tend to catch my wrist on them if I don’t, and although blood isn’t a completely uncommon sight in my shop, I do try to eliminate it as much as possible. 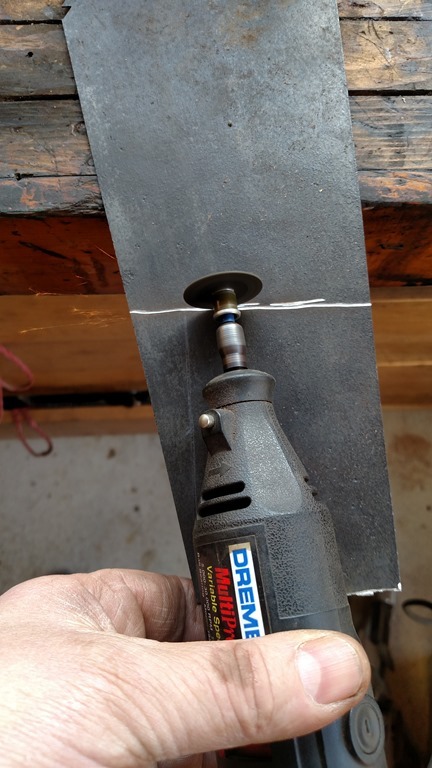 I used the belt sander, but the grinder would have worked as well. 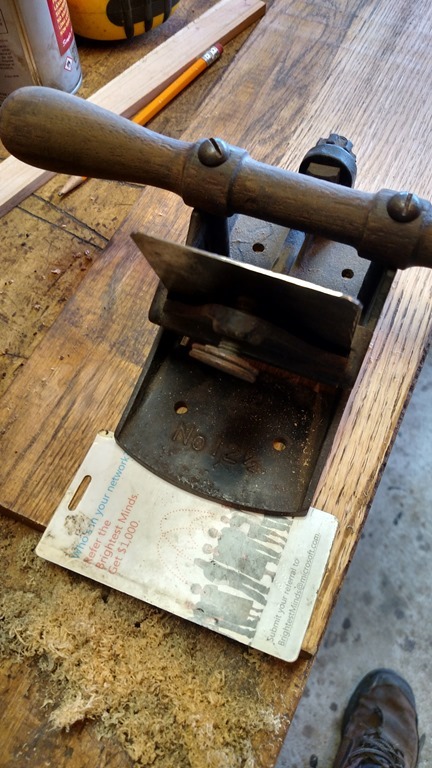 I set the blade by sliding a business card or old credit card type piece under the front and letting the blade sit on the bench. Here I tried the blade without a hook. It worked, but I know a hook will improve performance. 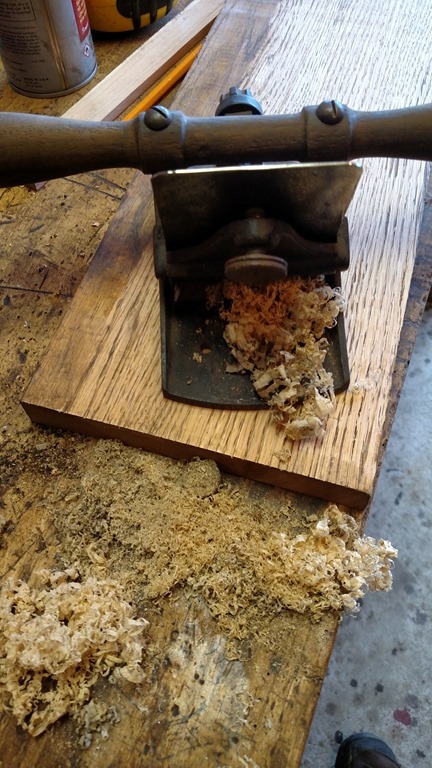 It produced something more like sawdust than shavings, so on with the hook making. Now after I set a hook. 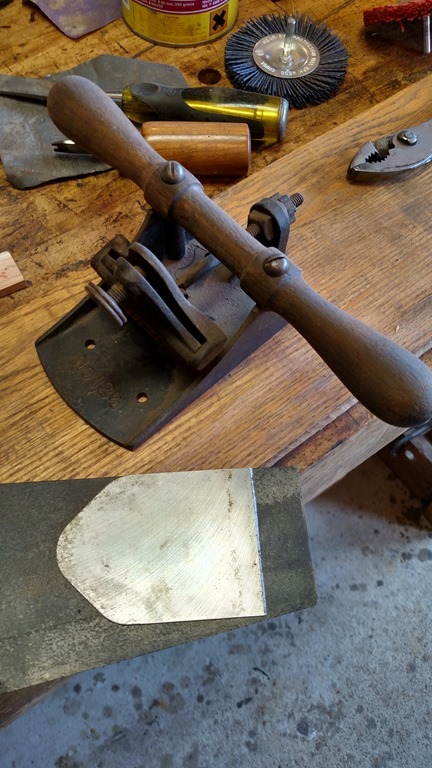 If sharpening and setting a hook on a scraper is new, there are plenty of others who have done a good job showing you how. And here is the final results on some oak. 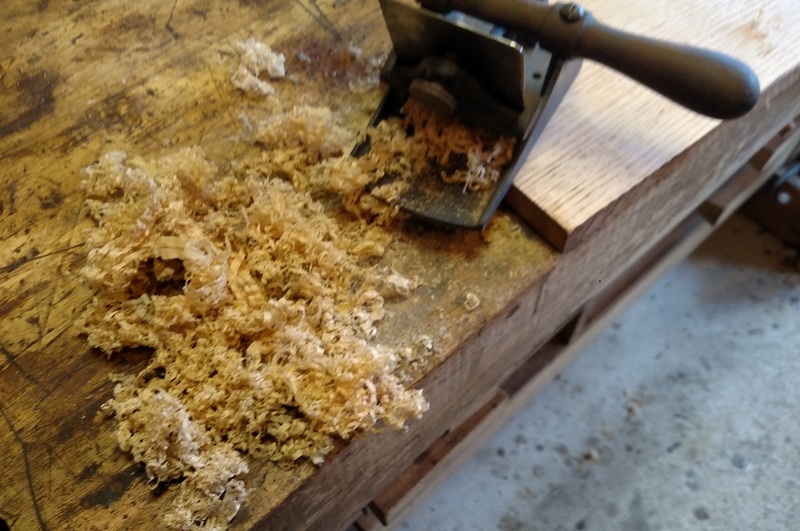 Some nice thin shavings rolling out as expected.